Air Energy provides a complete no-leak solution with its range of MaXair compressed air pipes including pipe fittings. MaXair compressed air pipe is made only from virgin materials with a PE100 designation, meaning the pipe and socket fusion fittings have the highest minimum strength at 20°C and at a 50-year design lifetime. As the original proprietor and distributor of MaXair, Air Energy delivers air pipe systems with higher ratings for pressure, flow, corrosion resistance and oil compatibility than any other non-metallic industrial piping in the market. MaXair is the original PE 100 blue line poly pipe that has set the industry standard for quality and reliability. In addition to the unmatched pipework reliability, MaXair systems offer an extensive range of pipe components to deliver compressed air, ensuring that each system can be tailored to precisely meet the client’s needs. Choose from our selection of compression fittings, electrofusion fittings and socket fusion fittings. High safety standards are paramount when dealing with compressed gases, which is why all MaXair PE100 components are manufactured to exceed current Australian safety standards. All Air Energy MaXair pipework systems are covered by a 50-year warranty, as per AS 4130 / AS 4131 designations. Other features include fast installation, alterability, high resistance to chemicals/heat/corrosion, protection from metallic contaminants, low-friction surfaces and food-grade components. Underground applications are also possible with MaXair PE100 pipes’ high tolerance for pressure and low weight. 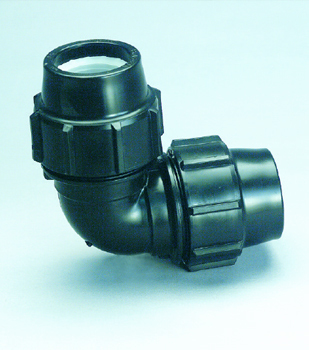 Our range of MaXair pipe fittings ensures leak-free connections, can withstand high heat and can resist pressure and vibration. Our poly pipe compression fittings, socket fusion fittings and electrofusion fittings are also suitable for applications such as drinking water distribution. 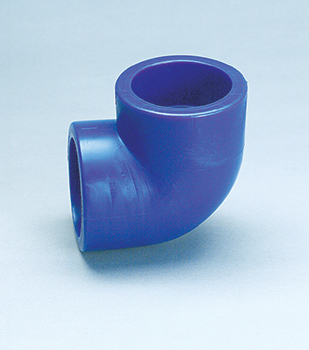 MaXair manufactures each PE100 blue pipe in accordance with AS 4130 / AS 4131. This designates a 50-year product lifetime, but long-term tests suggest that PE100 pipes can remain operational for up to 200 years at 20°C. MaXair PE 100 blue pipe is manufactured in accordance to AS 4130 / AS 4131 and is accordingly guaranteed for 50 years provided recommended design, installation and operation practices are adopted. As established from long-term testing, PE 100 may be operated continuously under pressure for up to 200 years at 20degC. MaXair compressed air blue pipe (sometimes referred to as blu pipe) comes in a full range of sizes: AIR 20, AIR25, AIR32, AIR40, AIR50, AIR63, AIR90, AIR110. And now also available in AIR160. Ring (03) 9765 5600 for FREE ADVICE on selection, design and installation. MaXair blue compressed air pipe systems are made from food grade material and do not support microorganisms or bacterial growth. What Do Lions Have to Do With MaXair? 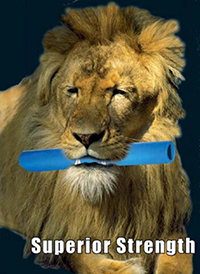 MaXair PE100 blue pipe is used at Melbourne Zoo, as well as Tooronga Park Zoo in Sydney, and is now exported to leading zoos around the world as part of the Animal Environment Enhancement programs. 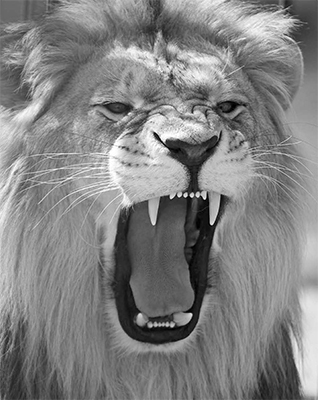 Lions were biting through 3 ton breaking strain marine rope. 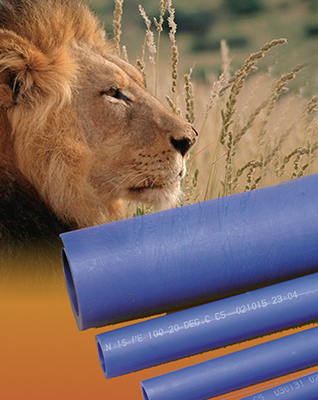 Now, MaXair pipe protects and withstands the efforts of lions, bears and elephants to destroy the equipment. This is just one illustration of how MaXair outperforms other pipes for durability and strength. It also leads the market for outstanding pressure, flow, corrosion resistance, ease of installation and alteration. 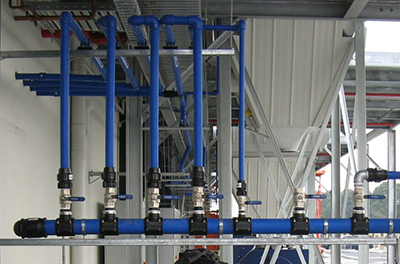 To complement this exceptional development in safe, robust pipework, the product also comes with an extensive range of high-quality components to give you the best solution for your requirements. 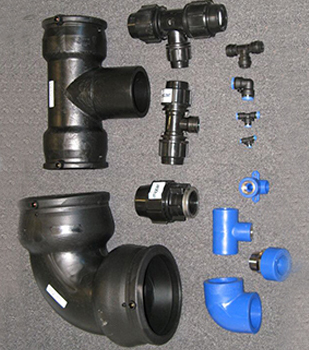 Air Energy offers a range of MaXair Pipe Fittings to provide you with hassle-free pipe installation solutions. With no flaring, glueing or threading needed, it takes 2/3 less the time to install a MaXair system compared to galvanised installation. 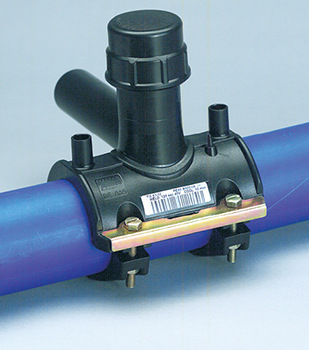 Choose among our selection of fittings for a pipe-systemthat’s truly leak and hassle-free. Our socket fusion fittings are easily and quickly welded to give a fully fused joint of highest integrity that’s leak free and tamper proof. The blue socket fusion fittings are rated at 16 bar with a 2:1 safety factor and are also visually pleasing. 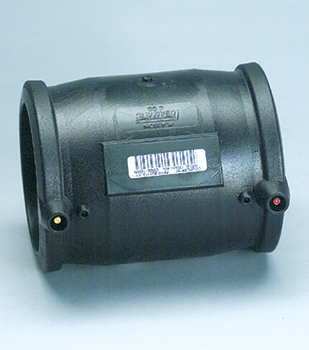 The electrofusion fittings are ideal for larger diameter compressed air pipes. Electrofusion joints can be pre-assembled, aligned or adjusted prior to applying the weld current. Compression fittings are easily installed and compression fittings have the advantage of being removable and reusable.